Worried about earning CPD units needed for the renewal of your PRC license? Check out here for the options to grow on your chosen career. MANILA, Philippines - The Professional Regulation Commission (PRC) on Wednesday announced that the Continuing Professional Development (CPD) is a mandatory requirement in the renewal of professional license under Section 10 of R.A. 10912, otherwise known as the CPD Law of 2016. R.A. 10912 entitled "An Act Mandating and Strengthening the Continuing Professional Development (CPD) Program for all Regulated Profession, Creating the Continuing Professional Development Council, and Appropriating Funds therefor, and for Other Related Purposes" shall be implemented after the effectivity of the Implementing Rules and Regulations (IRR) which will be in March 2017. According to PRC, the CPD Council for each regulated profession shall issue its Operational Guidelines to implement the general IRR for its profession. The CPD refers to the inculcation of advanced knowledge, skills and ethical values in a post-licensure specialization or in an inter- or multidisciplinary field of study, for assimilation into professional practice, self-directed research and/or life-long learning. 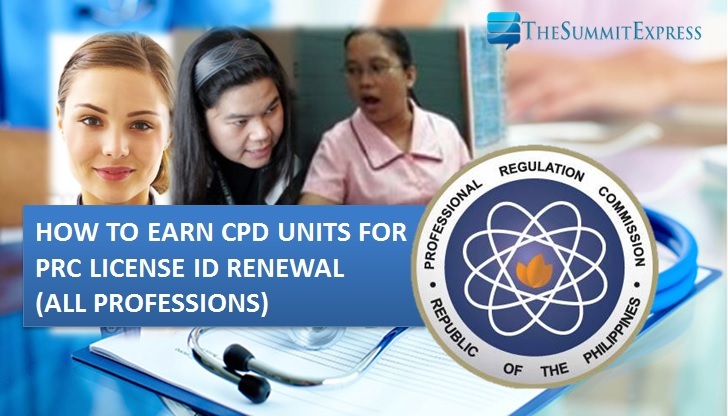 PRC added that those professionals whose Professional Regulatory Laws require CPD credit units prior to the renewal of Professional Identification Cards (PICs), or the professional license, compliance with CPD remains mandatory. Based on Section 19 of the revised guidelines in 2016, registered and licensed professionals shall complete the required units every 3 years. Any excess CUs earned shall not be carried over to the next three-year period except credit units earned for doctorate and master's degrees or specialty trainings which shall only be credited once during the compliance period.